Need fast, easy and accurate unit conversion and calculation? Units Master is a smart and innovative solution for unit calculation and conversion that saves your time and helps you avoid calculation mistakes. Due to the built-in intelligent data analyzing algorithm you may not only perform complex calculations but also easily adapt the app to your needs. 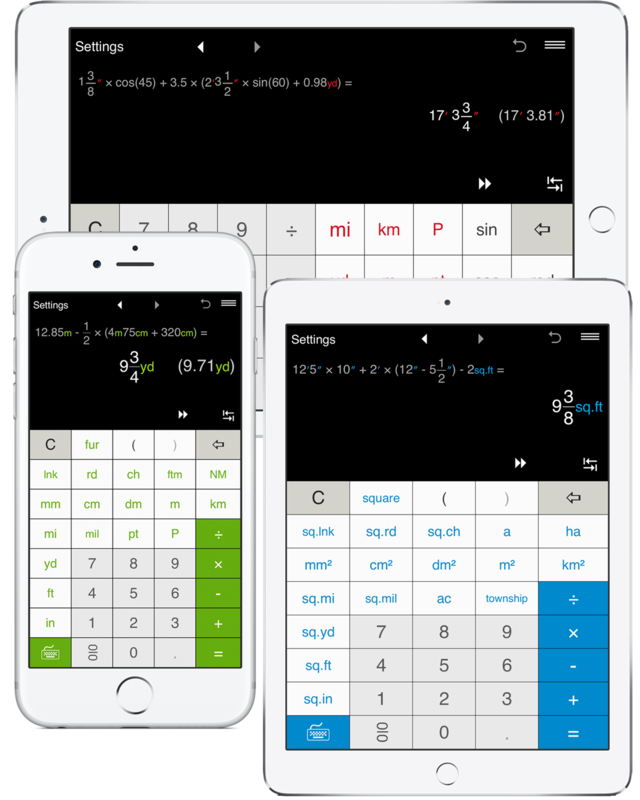 Perfect for engineering, construction, building, scientific, technical and mathematical calculations with units, dimensional math and analysis or just unit conversion. 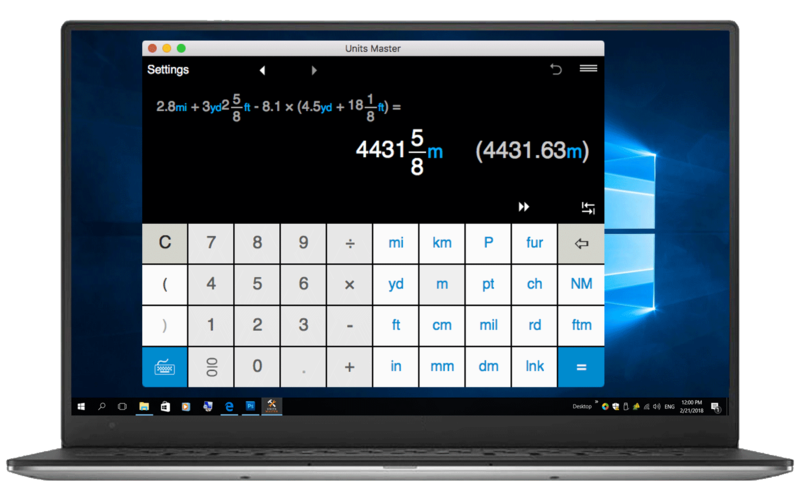 The Units Master App is a full-featured calculator and converter with clean interface and powerful solutions for calculating in fractional a decimal units in both US/imperial and metric systems. 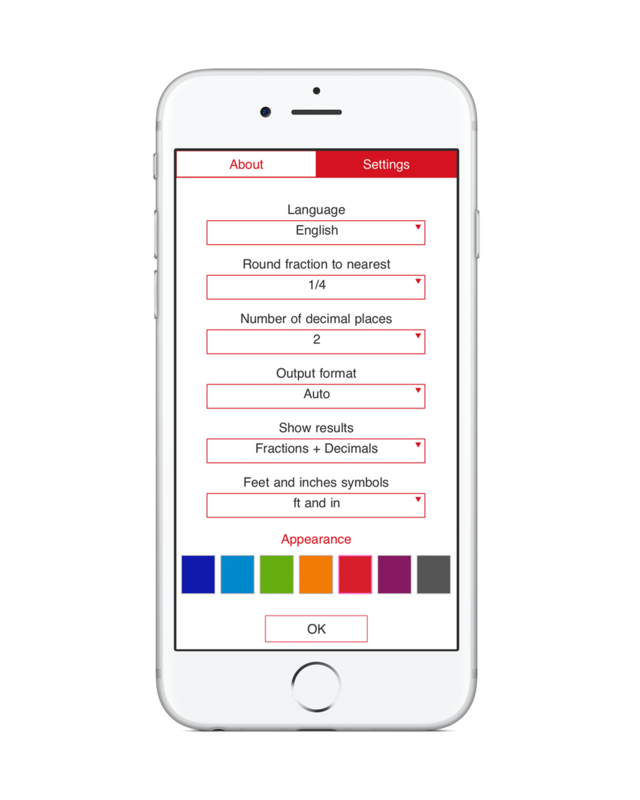 The app provides simple input for units and fraction/decimal math, supports a natural display for fractions and shows both the expression and the result so you can easily check the expression and quickly identify and fix any input errors. Ideal for engineers, builders, architects, carpenters, designers, scientists, students and anyone who needs to perform unit conversion and calculation on a daily basis. 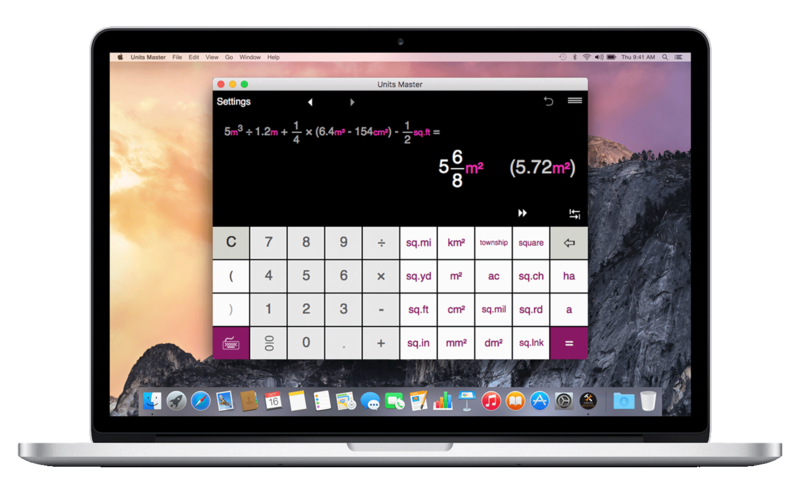 With Units Master, you may easily get the answer in desired unit(s) in fractional and decimal forms, round results to usable fractions, choose the default output format and more. 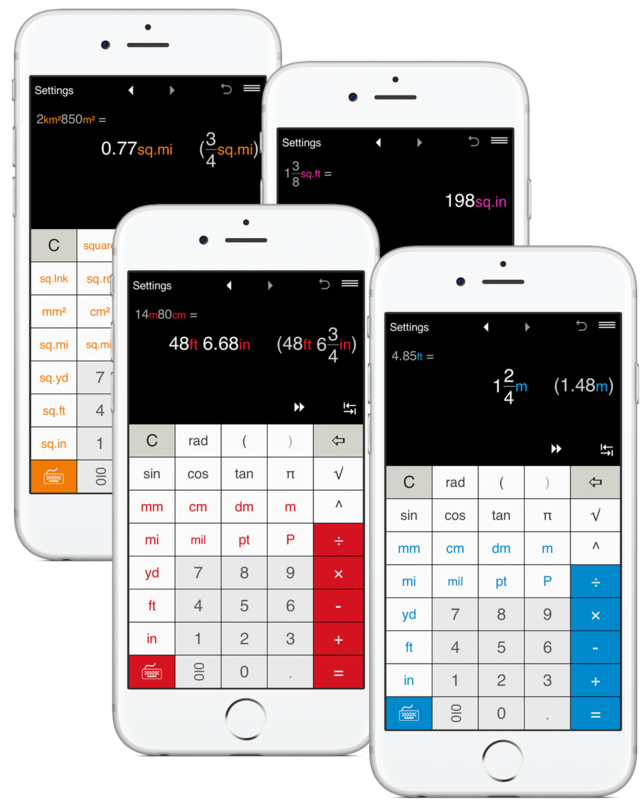 • Instantly calculate using 10 built-in US and metric length units. • Intuitive interface for units input. • Calculate in fractions and decimals. • Calculate linear measurements in metric units (millimeters, centimeters, decimeters, meters, kilometers). • Calculate linear measurements in US/imperial units (inches, feet, yards, miles, nautical miles), including feet-inch-fractions, inch fractions, yards, miles, decimal feet, decimal inches. 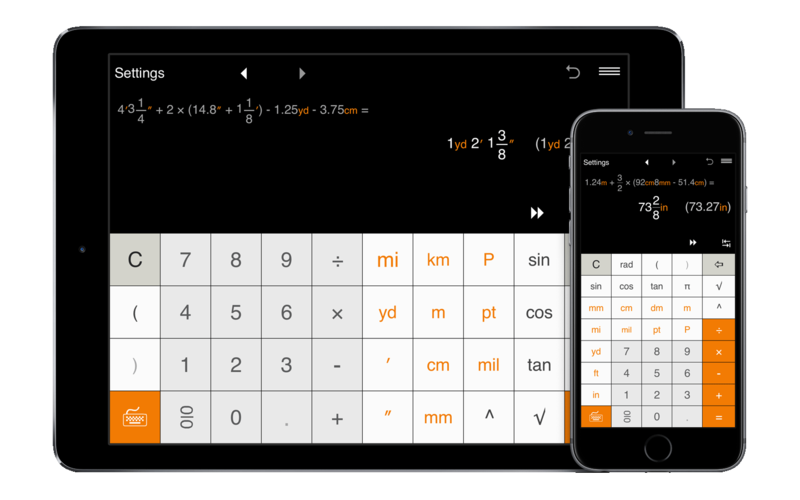 • Perform calculations when metric and US units are mixed. • Convert results between different units with one click. • Get the answer in desired unit(s) in a fractional and decimal form. • The app displays both the expression and the result at the same time. • More than 500 conversion combinations. • Convert between US and metric length units, including commonly used inches/centimeters/millimeters, feet/yards/meters, miles/kilometers and other length and distance units conversions. • Fractional and decimal unit conversion, including foot-inch-fraction to decimal format conversion. • One-click result conversion by clicking the unit button you want the result value converted to. • Addition, subtraction, multiplication and division. • Calculations with parentheses, including nested parentheses. • Fraction and decimal math. • Trigonometric calculations in Degrees and Radians. • Fraction to decimal and decimal to fraction conversion. • Reduce fractions and mixed numbers. • Three output modes for results: Automatic, US (imperial) and Metric. - Decimal numbers can be rounded to 0-8 of significant figures. 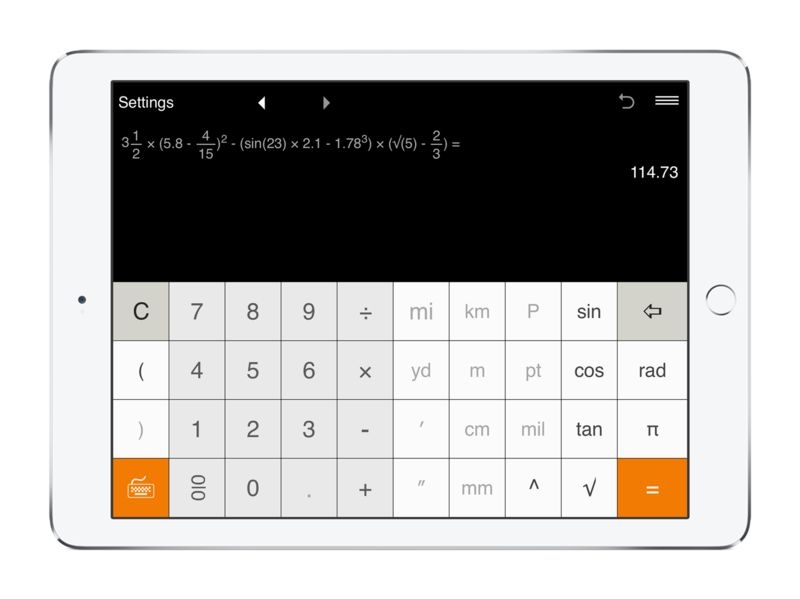 You can set up the app to round decimals to tenths, hundredths, etc. By default, the result is rounded to 10ths. - For fractions, you may round the results to the nearest 1/2, 1/4, 1/8, 1/12, 1/16, 1/32, 1/64, 1/128, 1/256. If you do not need to round fractions, just select "-". • Use the app in either portrait or landscape mode. • Switch between the keyboards. • Convert results between standard and metric systems. • Convert results between units within the same system. • Back and Forward buttons to find and recall recent calculations. • History Tape to view and share calculations. • Share calculation results via email.